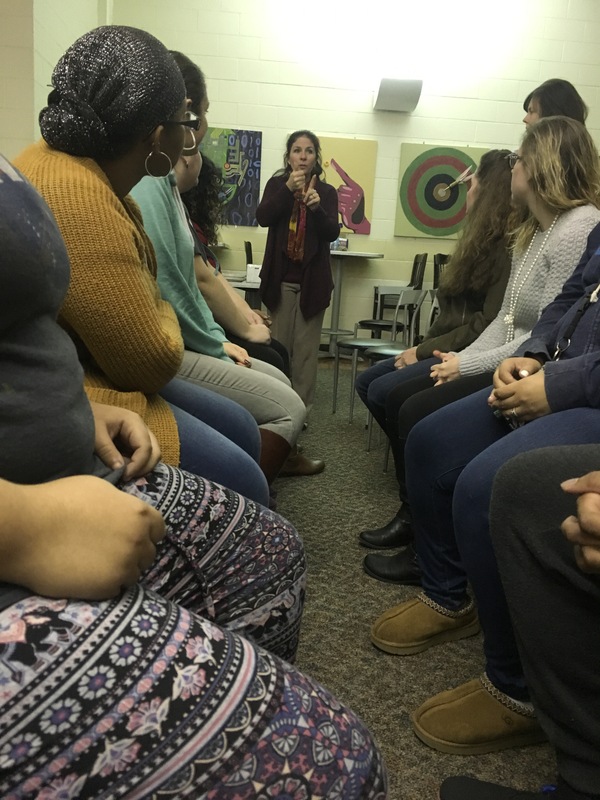 BLACKWOOD – Camden County College’s American Sign Language Club on Nov. 29 hosted Sign & Switch, an event that connected deaf people to hearing students who are learning American Sign Language. Twelve people attended. At 6:30 p.m., Ceccanecchio introduced a game called The Elephant by signing and speaking aloud to the attendees. The Elephant requires players to stand in a circle while one person stands in the middle. The person in the middle must point to a person standing around him in the circle, then the person being pointed at must give the sign for an elephant while the two people standing next to the “elephant” must give the elephant ears with their hand. Whoever does not follow the rules is kicked out of the circle. At 7 p.m., Ceccanecchio instructed everybody in a game called Sign Charades. Students must sit across from each other while taking turns signing to the other. When the timer buzzes, students must move to a different seat to play the game with a different person. Ceccanecchio said she ordered pizza and prepared drinks and snacks for the participants as a reward for attending the event.